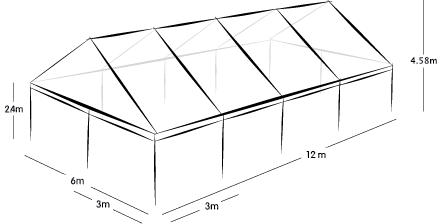 Our 10m wide clear span marquee for hire is a modular design is 3m sections giving a custom fit to your space. 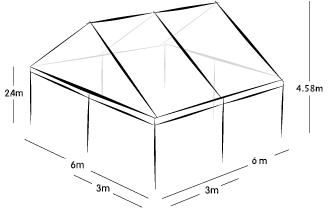 With no internal poles, it provides a clear line of site for your guests and to maximum use of space. You can also have no gable ends to keep the structure very minimal. Please see our marquees for hire in the gallery for examples. Options: white walls or clear walls. Must be installed by the AVA marquee team.